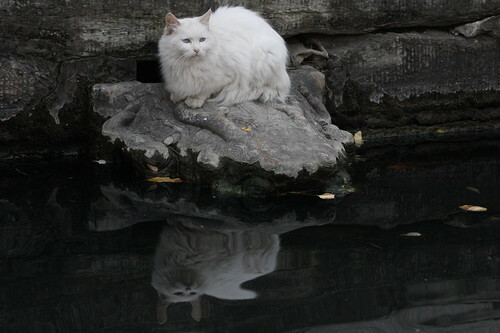 TheseNews.com » Blog Archive » The Pool Will Show Your True Self- Demon Cat! The Pool Will Show Your True Self- Demon Cat! what a great shot. and a beautiful kitty too! Seen in Crazy About Cats ~ Comment to the Right!! If you haven’t already done so, please remember to comment. ^..^Thanks! Oh… What a wonderful picture… And the is so sweet! Hi, I’m an admin for a group called The cat who turned on and off, and we’d love to have this added to the group! this is a lovely photo. she looks like an angel, not a demon. see her wings. Christmas Card Exchange is back again. I’m inviting you to partecipate to this funny idea. Come on you’ll be happy to be part of it! Hi, I’m an admin for a group called Evil kitty, and we’d love to have this added to the group!